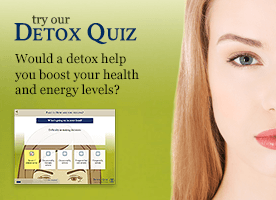 Q – I have heard so much about Omega 3 oils. I would like to give it to my son, who is hyperactive, but we are a vegetarian family and I do not want to give him fish oil if it can be avoided. Can you suggest something that is child friendly and possibly vegetarian? A – Also known as polyunsaturated fatty acids (PUFAs), omega-3 fatty acids play a crucial role in brain function, as well as normal growth and development. They also promote healthy skin and research shows that omega-3 fatty acids reduce inflammation and may help lower risk of chronic diseases such as heart disease, cancer, and arthritis. It has also been found that omega 3 supplements can significantly improve both children’s behaviour and learning ability. The two main types of PUFAs in our diet are omega-3 and omega-6. It is important to have the proper ratio of omega-3 and omega-6 in the diet. Omega-3 fatty acids help reduce inflammation, whereas most omega-6 fatty acids (such as those found in most margarines and sunflower and corn oils) tend to promote it. The typical Western diet tends to contain 14-25 times more omega-6 fatty acids than omega-3 fatty acids (a ratio you will often see written as 14:1 to 25:1), which many nutritionally oriented physicians consider to be very unbalanced. Most of us need to reduce our intake of omega-6 and increase our intake of omega 3 to a healthier balance of between 1:1 to 5:1 – with around 2:1 considered optimal. Although they are necessary for human health, we have to obtain them through the diet, because the body cannot make them. 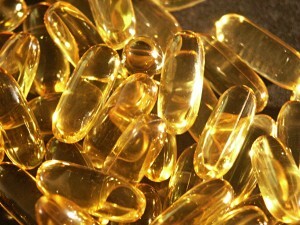 Fish oils are a rich source of omega-3s. But if you are vegetarian or vegan, or if you are worried about stories which suggest fish and fish oils can be contaminated with industrial pollutants we have dumped in our oceans, there are other options. If you are not sure how to get the right balance of omega-3 to omega-6 here is some simple advice on where to begin. Flaxseed, hempseed, canola, soyabean and walnut oils, and dark-green leaves, coldwater fish, salmon, mackerel and sardines. Sea foods including algae and krill contain omega-3 (though they may be at risk of the same pollutant problems as fish). You can buy organically grown flax seed oil and flax oil and take it either neat or mixed in fruit juice (though many children won’t like this!) or use it in salad dressings, soups, dips, smoothies or porridge or drizzle onto pasta or steamed vegetables for a totally natural boost in omega-3s. Safflower, sunflower, hemp, soybean, walnut, pumpkin, sesame and flax, borage seed, blackcurrant seed and evening primrose oil. Choose one source of omega-3 and omega-6 from each list to achieve a good intake of EFAs. Another good source of both types of fatty acids is dried beans such as kidney, haricot, mung and soya. Regularly including these in your diet will ensure your EFA needs are met in a healthy balance.